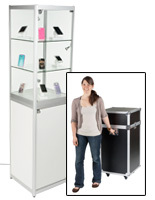 Showcase comes knocked down in mobile carry case for transportation. 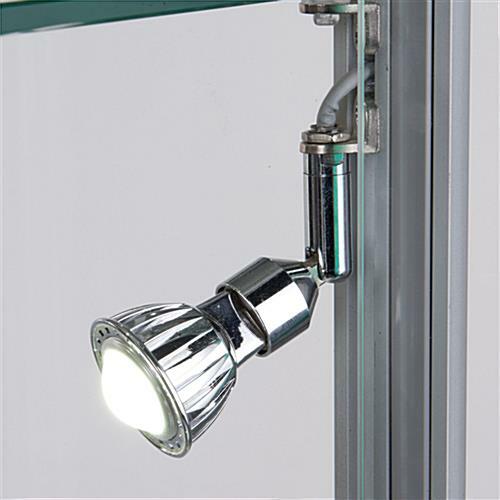 (1) Top & (5) side adjustable lights to highlight merchandise. 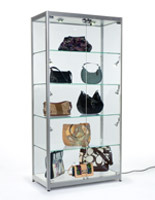 (2) Locking hinged doors to keep contents safe. 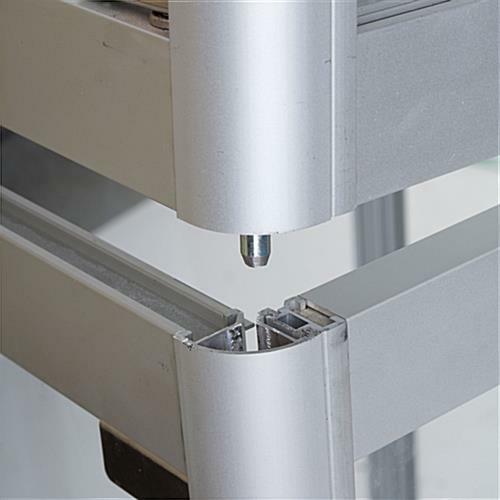 (4) Adjustable feet to keep unit stable on uneven flooring. 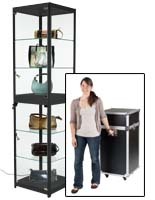 This trade show display case comes unassembled for easy transporting. 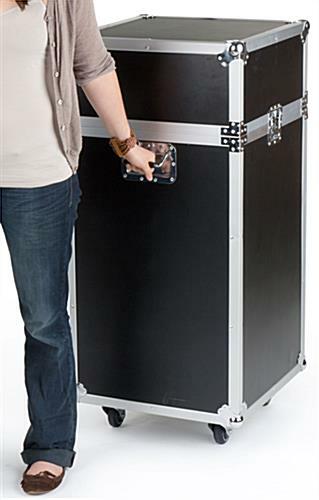 The case knock downs and comfortably fits in to the rolling carry case. 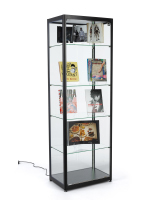 Each display case features(2) hinged doors which lock to keep the items safe inside. The silver melamine finish on the base and top to coordinates with all environments.LED lights on the top and sides illuminate items on display. LED bulbs are more cost efficient than halogens since they last longer and use less electricity. 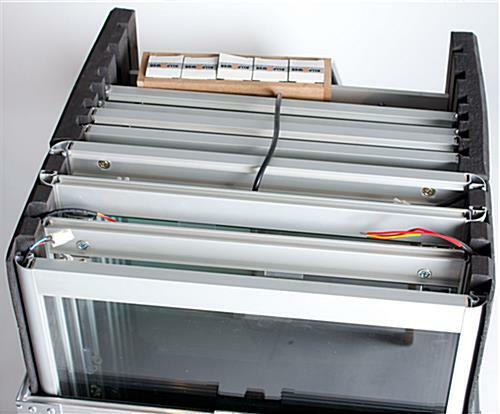 The (4) feet are used as levelers on uneven flooring to stabilize the unit. 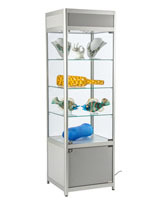 Since this knock-down cabinet is mainly used for tradeshows, it is ideal to be able to keep the unit stable, no matter what the flooring is. 19.8" x 77.8" x 19.8"
23.0" x 23.0" x 45.0"